The Lord of the Rings trilogy is on its way to achieving cult viewing status among Brisbane fans, with two local venues – Elizabeth Picture Theatre and Eagle Farm Racecourse’s Big Screen on the Green – currently running special events themed around the films. The cinema is owned and operated by Peter and Stephen Sourris brothers, who also run the famous Yatala Drive-in and New Farm Cinemas. It’s part of the 5-Star Cinemas brand, and offers a range of special events and a unique cinema experience. Manager of the Elizabeth Picture Theatre, Tia Boyd-Long, said the cinema aimed to offer a unique experience by showing a range of retrospective films and relying on certain niche markets to compete with bigger cinemas. “I think the retro films are probably one of the best performing things we do because when we have them we can just do a one-off event for it, and we can market it and people all come to the one date,” Ms Boyd-Long said. “We do a lot of retrospective films, we have a classics festival kind of thing where we’re showing Dirty Dancing, The Rocky Horror Picture Show and Mean Girls and things like that,” Ms Boyd-Long said. “As with all independent cinemas, we really rely on our loyalty system because we get the regulars that come in and they spread the word,” she said. The next big event to be run by the Elizabeth Picture Theatre has a The Lord of the Rings theme. There will be a Lord of the Rings trivia night on September 24 followed by a marathon screening of the three films on October 7. Tickets to the Lord of the Rings marathon will cost $12 per film and will feature the extended editions of each of the three films, which range from three hours and 28 minutes long to four hours and 11 minutes long, totally close to 12 hours of cinema viewing. “Lord of the Rings is a good one because there are only three of them so they can fit on one day,” Ms Boyd-Long said. 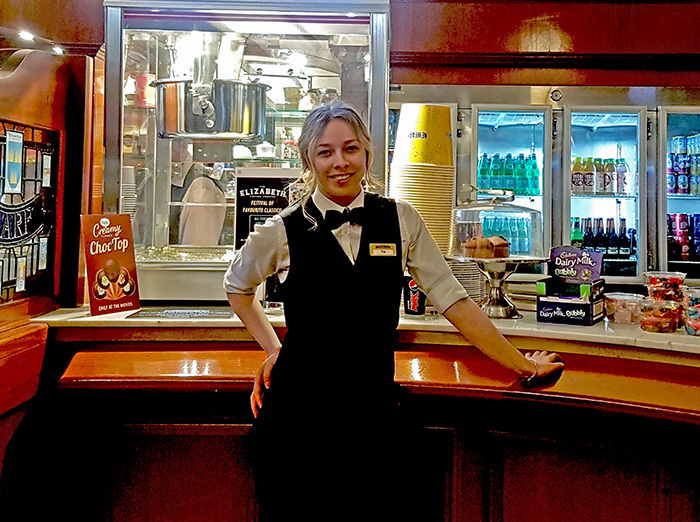 “Whereas something like Harry Potter, we’ve done a Harry Potter marathon down at [Yatala] Drive-in before and that went over two weekends, so it’s quite a commitment to do those kind of franchises,” she said. Elizabeth Picture Theatre regular Sidney Jian said he chose to frequent the cinema because of its unique aesthetic and broad range. “For a small cinema, it really knows how to make the most of its time,” Mr Jian said. “There is always something interesting to watch, they don’t get caught up in seasonal releases like other big cinemas,” he said. The cinema also caters to other specialist markets, offering family fun days with child-friendly movies, ladies’ nights and date nights showing more grown up films, and a Studio Ghibli festival for Japanese animation fans. “It’s a very different experience, we will always sort of rely on that as an independent cinema,” Ms Boyd-Long said. “We really try to emphasise the experience of the movies and I guess that’s what makes us different from other bigger cinemas where they have bigger screens and sound,” she said. The Elizabeth Picture Theatre isn’t the only venue that sees the appeal in screening films with a cult following, such as The Lord of the Rings. This week the Brisbane Racing Club (BRC) is hosting a Lord of the Rings themed event of its own. Brisbane Racing Club marketing coordinator Sarah Hall said the BRC event had taken steps to separate itself from other Lord of the Rings themed events. “When [guests] arrive they’ll be greeted by Gandalf, who will give a booming ‘you shall not pass’ to all non-ticket holders,” Ms Hall said. “We’ll have birthday cake and party hats for the first guests to arrive to get Bilbo’s birthday party started,” she said. The BRC event takes place on September 21, which is the day before Bilbo Baggins’ birthday. 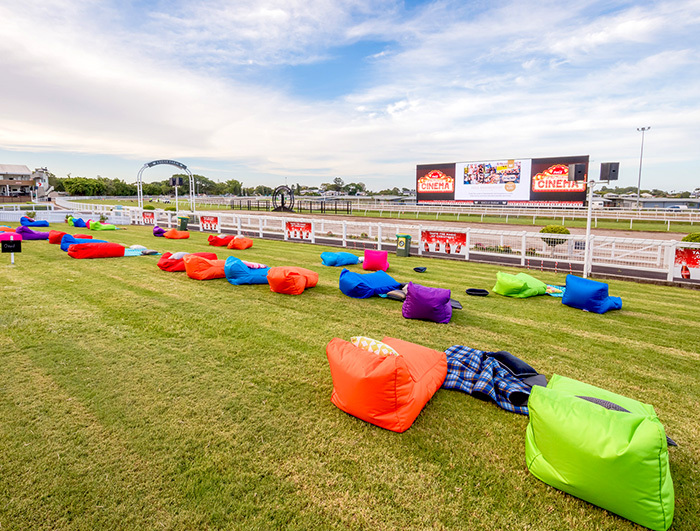 The club will showcase The Lord of the Rings: The Fellowship of the Ring on the Big Screen on the Green at Eagle Farm Racecourse, which is the largest screen in the southern hemisphere. “Big Screen on the Green is Brisbane’s best open-air entertainment venue, which offers more than just a cinema,” Ms Hall said. “Featuring the largest screen in the southern hemisphere, this is the ultimate, unique destination to watch films under the stars,” she said. There are still tickets available for purchase for the BRC event, which cost $10 each for admission or $20 each for admission with a large popcorn and a drink of your choice. For more information about special events and ticket purchases for either of these events, visit the Brisbane Racing Club and the Elizabeth Picture Theatre websites.